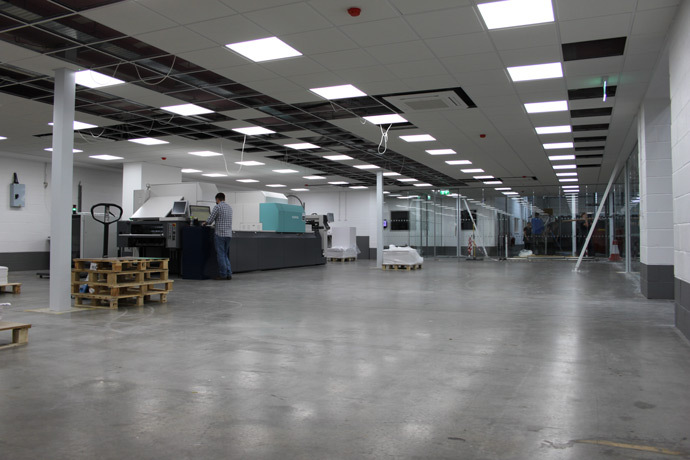 As one of our most recent installations, our new Fujifilm Jet Press 720S is part of a very exciting change that is going on in the Route One Print factory this summer. 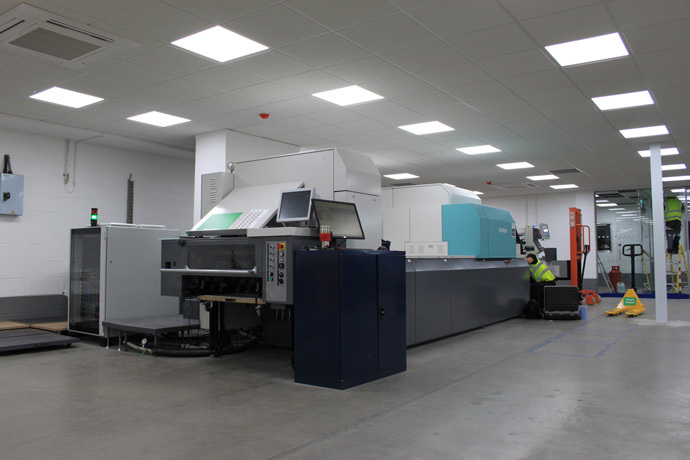 We’ve invested approximately £1.5m into the creation of a dedicated business card production cell, which is due to begin work in a few weeks, and the Jet Press is to be the main component of that development. Choosing a printer for our business card cell was a very important decision for us and some may be surprised by our choice. However, we are very excited to be pioneering this new, innovative use for ink jet technology, especially because this is only the fourth Jet Press 720S to be installed within the UK. Read on to discover why we think this printer is so special. The Jet Press 720S is equipped with a new generation of print head technology to give ultimate image resolution and clarity. With 17 modular SAMBAtm print bars and 34,816 nozzles per bar, the Jet Press can reach 1,200 x 1,200 dpi. However, the overall resolution appears higher as a result of the four levels of greyscale that the ink droplets can be produced in. This means that a greater level of contrast can be reached to give more defined details in the print. Image quality is further helped by the use of VersaDroptm technology which can manipulate the size and shape of each individual ink drop. This gives optimal precision for very fine lines and text as well as helping to produce smooth colour transitions. The Jet Press can achieve ink grains that are as small as 0.5 trillionth of a litre and are discharged at high speed (invisible to the naked eye). It’s this precision that achieves an incredibly high print performance. Our Jet Press installed as we complete our dedicated business card cell. In the print industry, few things are as important as consistency. The Jet Press uses an offset paper feed mechanism in order to avoid the issue that some digital printers have with paper registration. This mechanism automatically adjusts according to which paper size is selected so as to maintain consistent and accurate registration. As well as making sure that the image appears in the same place on each run, consistent paper registration means that our guillotines can achieve a more accurate cut. The developers at Fujifilm have managed to create a new water-based ink and, with that, the Jet Press is able to achieve a wide range of colours than is possible through offset printing. They have called this new colour gamut VIVIDIA and is achieved through the capabilities of the SAMBAtm print heads using CMYK colours. Regardless of how accurate the ink droplets are placed, when ink hits paper it has tendency to spread and detract from the sharp image resolution. To counter this, Fujifilm have developed a primer specifically for the Jet Press which is applied to whatever substrate is in use before it goes to ink deposition. This primer is known as Rapid Coagulation Primer and it helps to prevent paper curling and dot gain when the ink is applied to all paper types. This primer is a vital component to creating a high quality image. Making the final adjustments before going live on Jet Press production. One final element of the Jet Press 720S to ensure quality is its ability to make real time alterations to the print heads between sheets. A CCD sensor makes a scan of every sheet as it passes through the printer and signals for any necessary adjustments to be made to how ink is deposited from the print heads. As well as that, an In-Line Sensor system also assesses the print heads for any inconsistencies in the nozzles or ink deposition and adjusts the print head nozzle map and ink deposition parameters as appropriate. Keep your eyes and ears open for news on when our business card cell goes live and don’t forget to check out our range of business cards so you can see for yourself what the Jet Press can produce.